Official journal of the British Educational Research Association (BERA). The British Educational Research Journal is an international medium for the publication of articles of interest to researchers in education and has rapidly become a major focal point for the publication of educational research from throughout the world. The journal is interdisciplinary in approach, and includes reports of case studies, experiments and surveys, discussions of conceptual and methodological issues and of underlying assumptions in educational research, accounts of research in progress, and book reviews. The British Journal of Educational Studies is one of the UK's foremost international education journals. It publishes scholarly, research-based articles on education which draw particularly upon historical, philosophical and sociological analysis and sources. There is a special, but by no means exclusive, focus upon policy developments in Britain. The greatest number of submissions are about schools and schooling but the journal also encourages writing that deliberates policy for further, adult, continuing and higher education. The journal also has a comprehensive book review section. British Journal of Sociology of Education publishes academic articles from throughout the world which contribute to both theory and empirical research in the sociology of education. The journal attempts to reflect the variety of perspectives current in the field. In order to ensure that all articles are of the highest quality, all contributions are submitted to at least two referees before acceptance for publication. Apart from the main articles each issue will normally contain a review essay, an extended review and a review symposium on a major book or collection of books. Éducation et Sociétés est issue de rencontres initiées par le Comité de recherche "Modes et progrès de socialisation" de l'Association Internationale des Sociologues de Langue Française (AISLF). Celles-ci ont mobilisé de très nombreux chercheurs et ont contribué à renouveler la physionomie de la sociologie de l'éducation depuis une quinzaine d'années. Le but d'Éducation et sociétés est de capitaliser les résultats produits dans cette période pour les mettre à la disposition d'un large public et entretenir le débat nécessaire à la vitalité du milieu scientifique. Soutenue par un comité scientifique qui comprend des représentants de la recherche belge, française, québecoise et suisse, la revue souhaite aussi établir un lien fort avec les chercheurs francophones de l'Europe de l'Est, du Sud, d'Afrique, d'Amérique latine, etc, tout en entretenant un dialogue fécond avec les autres espaces linguistiques. Educational Research , the journal of the National Foundation for Educational Research (NFER), was established in 1958. Drawing upon research projects in universities and research centres worldwide, it is the leading international forum for informed thinking on issues of contemporary concern in education. The journal is of interest to academics, researchers and those people concerned with mediating research findings to policy makers and practitioners. Educational Research has a broad scope and contains research studies, reviews of research, discussion pieces, short reports and book reviews in all areas of the education field. The wide coverage allows discussion of topical issues and policies affecting education institutions worldwide. An Official Journal of the American Educational Research Association (AREA). The Educational Researcher is published 9 times per year and is received by all members of AERA. It contains scholarly articles that come from a wide range of disciplines and are of general significance to the educational research community. The Features section of ER publishes articles that report, synthesize, review, or analyze scholarly inquiry, with emphasis placed on articles that focus on the interpretation, implication, or significance to research work in education. The Research News and Comment section of ER publishes manuscripts that analyze trends, policies, utilization, and controversies concerning educational research. The section also provides an outlet for researchers and others summarizing policies, taking points of view, and suggesting ways to increase support, quality, visibility, and utilization of educational research. Research News and Comment does not publish single studies or narrow topics since the ER audience spans a broad and diverse readership of disciplines, methods, and methodologies. The Book Review section of ER carries reviews, scholarly essays, and critiques of the written works of those engaged in disciplined inquiry. Short reviews cover a single book of broad interest for a line of work; essay reviews critically link several books across a topic. In addition, the AERA Highlights section of ER provides timely news about the field and about AERA, including information on activities, programs, and events and reports and Council minutes of the Association. 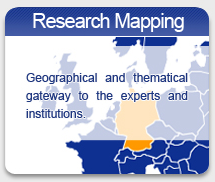 The European Educational Research Journal is a peer-refereed international journal devoted to Europeanization in educational research. It publishes aspects of educational research which illuminate the cases and contents of the emerging borderless space of European educational research. The journal commenced publication with Volume 1, Number 1, 2002, and is the official journal of EERA, the European Educational Research Association. Although its dominant content is conventional peer-reviewed academic articles, an important area of the journal is devoted to 'research intelligence', general announcements, conference news, a discussion area, points of contact and general 'notice board' information. * To contribute to the policy debate at the national and European level by providing European administrators and policy-makers in international organisations, national and local governments with comparative and up-to-date material centred on specific themes of common interest. Each issue is organised around a particular theme, with emphasis on commissioned papers requested by the individual editor responsible for the issue and a member of the Journals Editorial Board. The European Journal of Teacher Education (EJTE) provides a forum for the examination of policies, theories and practices related to the education and training of teachers at pre-service and in-service levels in the countries of Europe. The official journal of the Association for Teacher Education in Europe (ATEE), its audience includes all those who have a professional concern with or interest in the training of teachers for all age-groups. This journal continues the volume numbering of the former Revue ATEE Journal. The European Journal of Vocational Training is an independent periodical which appears three times a year and which has an Editorial Committee. It is published in five languages and is intended for anyone who contributes to or is interested in the development of vocational training in Europe. Globalisation, Societies and Education aims to fill the gap between the study of education and broader social, economic and political forces by analysing the complexities of globalisation. The journal seeks to provide means for affecting, as well as reflecting the experiences, distribution, contributions and outcomes of education at all levels and in all settings. Globalisation, Societies and Education represents scholarly analysis carried out from a variety of disciplinary perspectives, including sociology, philosophy, politics, geography, history, economics, management and comparative studies as applied to education and its related fields. We welcome articles drawing on empirical research, comparative and single system case studies and theoretical explorations in the broad area of the relationships between globalisation, societies and education. In addition, Globalisation, Societies and Education seeks to encourage and include more innovative means for communicating information, ideas, debates and arguments on globalisation, education and societies. The journal will include interviews with prominent intellectuals, activists and leaders, website reviews, commentaries on debates and will offer opportunities for the expression of a range of viewpoints. Higher Education is recognised as the leading international journal of Higher Education studies, publishing twelve separate numbers each year. Since its establishment in 1972, Higher Education has followed educational developments throughout the world in universities, polytechnics, colleges, and vocational and education institutions. It has actively endeavoured to report on developments in both public and private Higher Education sectors. Contributions have come from leading scholars from different countries while articles have tackled the problems of teachers as well as students, and of planners as well as administrators. While each Higher Education system has its own distinctive features, common problems and issues are shared internationally by researchers, teachers and institutional leaders. Higher Education offers opportunities for exchange of research results, experience and insights, and provides a forum for ongoing discussion between experts. Higher Education publishes authoritative overview articles, comparative studies and analyses of particular problems or issues. All contributions are peer reviewed. The Journal of Education Policy aims to discuss, analyse and debate policymaking, policy implementation and policy impact at all levels of and in all facets of education. It offers a forum for theoretical debate, and historical and comparative studies, as well as policy analysis and evaluation reports. The journal also analyses key policy documents and reviews relevant texts and monographs. The objective of the Oxford Review of Education is to advance the study of education. It especially wishes to promote the elaboration and evaluation of a body of speculative and empirical theory, the development of which might improve educational practice. The journal publishes papers on the theory and practice of education from scholars throughout the world in a variety of disciplines: philosophy, political science, economics, history, anthropology, sociology, psychology and medicine. Scientific journal published by the Spanish Ministry of Education and Science. Founded in 1940, and since 1951 called Revista de Educación, it has been a privileged witness of the development of education in the last decades, and an acknowledged means for the dissemination of education research and innovation, both from a national and international perspectives. It is currently assigned to the Institute of Evaluation within the General Secretary of Education and it is published by the General Directorate of Information and Publications of the Ministry of Education and Science. Four issues are published each year, three regular ones and one focused on an especial topic. Regular issues include four sections: Monograph, Research and Studies, Reports and Essays and Education Experiences (innovation), all of them submitted to referees. In the first issue of the year there is also an index of bibliography, a report with statistic information about the journal process of this period and the impact factors, as well as a list of our external advisors. Depuis 1967, la Revue française de pédagogie constitue au sein de l'espace francophone un lieu privilégié d'expression pour la recherche en éducation. Ayant vocation à couvrir le champ de cette recherche de manière large, cette revue publie des contributions relevant d'une pluralité d'approches et de disciplines de référence. Fonctionnant selon le système des revues scientifiques avec comité de lecture, elle se veut complémentaire des périodiques plus spécialisés de l'INRP. Généralement regroupés en ensembles thématiques, les articles de la Revue française de pédagogie donnent accès aux apports les plus récents de la recherche en éducation. Chaque numéro comporte également une note de synthèse qui fait le point sur le mouvement de la recherche dans un domaine donné, ouvrant des horizons sur le plan national et international. Enfin, la rubrique des notes critiques apporte aux lecteurs une information et une réflexion sur les principaux ouvrages récemment parus. The Scandinavian Journal of Educational Research is an international refereed research journal focusing on central ideas and themes in educational thinking and research. The journal welcomes reports on philosophical, historical, comparative, experimental and survey studies and has no preferences - except quality - concerning the authors' choices of methodological perspectives. The journal reflects ongoing educational research in the nordic countries. It also encourages scholarly discussions on vital concepts, new issues and themes of importance for education in the future. Teaching and Teacher Education aims to enhance theory, research, and practice in teaching and teacher education through the publication of papers concerned with the description of teaching, teaching effectiveness, the factors that determine teachers' thought processes and performances, and the social policies that affect teachers in all aspects and stages of their careers. The journal will recognize that many disciplines - psychology, sociology, anthropology, economics, political science, history, and philosophy - have important contributions to make to the achievement of its goals, and the Editors welcome contributions from them. In the absence of any dominant paradigm, the journal will allow varied approaches to offer empirical research, theoretical and conceptual analyses, and reviews (both qualitative and quantitative syntheses) of high quality. A leading forum for scientific exchange throughout the field of educational science, ZfE is published four times a year, at the end of each quarter. It publishes first-class, peer-reviewed articles on current developments in educational science, making the findings of interdisciplinary research accessible to all those with a professional interest in the field. ZfE is distinguished by its choice of editors, its scientific advisory board, and especially the topics selected for detailed consideration. These topics reflect the broad, interdisciplinary character of educational science and its relevance across the lifespan. Furthermore, through the selective publication of English-language contributions, the journal keeps pace with scientific developments beyond Germany. The periodical aims to present international and interdisciplinary developments in broad areas of educational science in a reliable, reasoned, and lucid manner. Die Zeitschrift für Pädagogik (Z.f.Päd.) ist die führende erziehungswissenschaftliche Fachzeitschrift im deutschen Sprachraum. The Elektronische Zeitschriftenbibliothek EZB (Electronic Journals Library) is a service to facilitate the use of scholarly journals on the internet. It offers a fast, structured and unified interface to access full text articles online.